The sun temples in Varanasi have originated because of various reasons and these are imaginatively accounted for in many sacred and ancient texts. According to Vamana PuranamSukeshi was the son of demon King Vidyutkeshi. He was a great devotee of Lord Shiva. Being pleased by his devotion, Lord Shiva had blessed him with invincibility and gifted him a city, which was situated in the sky. Sukeshi was a virtuous and just king. Once, he had gone into the Magadh forest where he found numerous sages engrossed in meditation. After introducing himself to the sages, he expressed his desire to know about the path that led to benediction. He also wanted to know how a man could achieve respectability and contentment in his life. The sages told him that a man could achieve benediction only by following the path of Dharma. “A religious man achieves both respectability and contentment”, said the sages. Sukeshi then asked them about the characteristics of Dharma. The sages revealed to him that the deities engage themselves in religious activities like Yagya, self-study, study of Vedas and worship of Lord Vishnu. So, all these activities are the Dharma of the deities. “The Dharma of the demons consists of negative qualities like jealousy etc. But they have profound knowledge in policy matters and have great devotion towards Shiva”, said the sages. 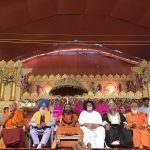 “The Siddha’s Dharma is to engage himself in activities like practice of Yoga, study of Vedas, self-realisation and devotion to both Lord Vishnu and Shiva”, said the sages. In this way, the sages enlightened Sukeshi on the Dharma of different sections of divine entities. At last, Sukeshi requested the sages to tell something about the hell (Narak). The sages replied that altogether there were 21 hells. The name of the first hell is Raurav, which covers the area of 2000 Yojans. The second hell Maharaurav is twice the area of Raurav. Similarly, the names of the remaining hells are Taamistra, Andhataamistra, Kaalchakra, Aprathisth, Ghatiyantra, Asipatravan, Taptakumbh, Kootshaalmali, Karpatra, Swabhojan, Sandansh, Lohapind, Kalmasikta, Kshaarnadi, Krimibhojan, Vaitarninadi, Shonitpayabhojan, Kshuraagradhaar, Nishitachakra and Sanshoshan. Pulastya says- “After being enlightened by the sages on various subjects, Sukeshi returned to his capital. He taught the demons all that he had learnt. As a result, all the demons became very virtuous. The newly attained virtuosity and religiousness made the demons invincible and powerful. Sukeshi’s capital was situated in the sky. The whole city illumined brightly due to virtuosity attained by the demons. Its illumination even subdued the radiance of Surya (Sun). Now it became very difficult to determine when the Sun rose. The deity Surya became worried at this development. He started pondering on how the demons became so powerful and contemplated over the means to destroy the demons. While Surya was meditating, the fact regarding the demons’ power dawned on him. Surya became furious and angrily glanced at Sukeshi. The city started falling towards earth. Sukeshi became worried and started praying to Lord Shiva. Seeing his devotee, Sukeshi in trouble, Lord Shiva looked angrily at Surya as a result of which, he too started falling towards the earth. When the sages and hermits saw Surya falling down, they advised him to take refuge in Lord Vishnu. Surya curiously asked as to how could he take Vishnu’s refuge as he had been punished by Lord Shiva. The sages then advised him to direct his descent to Varanasi. Surya accepted their advice and landed at Varanasi between two rivers- Varuna and Asi. He was feeling restless because of severe heat and so he decided to take a bath in the Asi River. After taking his bath, he started revolving around both the rivers. In the meantime, all the sages, demons, Apsaras went to Brahma loka and requested Lord Brahma to re-establish Surya in his original abode. Lord Brahma, accompanied by all the deities went to Lord Shiva and requested him to forgive Surya. Shiva was pleased at their humbleness and forgave Surya and re-established him on his chariot. He also gave a new name to Surya- Lolaark. At last, Surya was re-established in the sky. The city of temples, Kashi (Varnasi is also known with his name popularly), is parched on the trident of Lord Shiva. Kashi finds mentions in Ved and Purana and glory has been sung in unmistakable terms. Kashi is country’s cultural capital where tourists from all over the world come to have the glances of the Indian culture and traditions. The daily surya asnan in Kashi, the Ganga Aarti, and the traditional festivals are celebrated with great gusto here. The riverbed becomes lighted through the inflamed earthen lamps in the nights which are a scene to behold. Every one month belong to each sun. Veda has descriptions of 12 suns. 12 suns rise in a year. There are 12 sun temples in Kashi. The sun of Magh month is ‘Bhag’ which provide affluence and health cures. In the month of ‘Phagun’, the sun adopts the form of ‘Twashta’ and cures the skin diseases of all. Apala, Surya, Ghosha, Juhu etc were suffering from leprosy who became cured of the leprosy disease after bathing and Sun-worshipand all were married with Rishi’s Kumars. During the Mahabharata periods, Samb, the son of Lord Krishna was very handsome Brahmin was suffering from the disease of leprosy. Upon the advice of Narada, he came over to Kashi and started sun- worshipping after taking his bathes I the Ganges River. He at last got rid of leprosy. He built the Sambark temple in Kashi. ‘Ark’ means Surya. There are several synonyms of Sury- Bhaskar, Ravi, Aditya, Pusha, Savita etc. Divodas was the king of Kashi during Vedic and pauranic periods. There was the terror of demons widespread during the period. 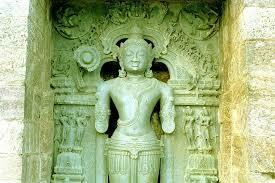 To contain the demon’s terror, Surya had given a rock of stone to Vishwakarma to sculpt idols. Vishwakarma made idols which became famous as Lolark Temple. Magical era got built through the remnants of the stone rock with which the demons were destroyed. During those times rounds, Vishweshwar Shankar had reached in Kashi. The terror of the demons are remembered even to this days in Kashi. The terrorists were killed in the Pauranic period. In the Dwapara periods, Draupadi had arrived in Kshi along with Pandavas after being troubled by Duryodhana. She bathed in Ganga and worshipped Sun God. God Sun was pleased and Draupadi had got ‘Akshaya Patra’. A temple is named after Draupadi in Kashi as Draupadi Tempel. When Sun God started taking his violent form, the inflammable power reached its zenith and there was chaos in the entire universe. Getting vexed with the virulence of the heat, Bawa, Vishwanat came over running and appeased Sun God. The Sun God then was brought back to his peace at last and the universe became cool again. Ever since the ‘Mayukheshwar Temple’ became famous. Mayukh means ‘Anshumali surya’. Sun is known as ‘Dhata’ in the month of Kartrik. His sun is ‘Yama’ and Yamuna is the sister of Yama. Yama had come to Kashi, bathed in Ganga and had worshipped to Sun God here. He had offered a fervent worship for public welfare. In his memorium, a temple was built and named after him as ‘Yamaditya Temple. In the month of Kartik, a great congregation gathers hers to take bath in the sacred river of Ganges, offer prayers in this temple for heavenly blessings and for ‘Deepdan’. It is said that taking bath in the month of Kartik, inflaming deep on the banks of the river Ganges, and worshipping Sun God, human have no fears against death come what or when it may. 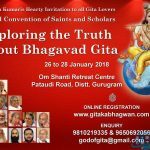 Sri Krishna in Geeta has said,” I am surya parjanya of sawan”. Excessive rainfalls happens during the course of Shrawan and there is shrawani beauty and scenery enveloping all around in Kashi. Varuna is the sun of Bhado month who is the God of water. 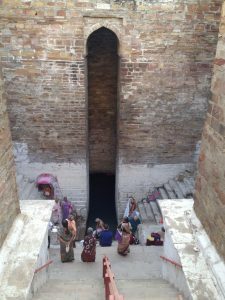 Varuna and Asi named rivers flow down in Kashi. By the curse of Pindarik, Lalit and Lalita had grown ugly who became handsome again after the Gangabath and the Sun worship in Kashi. Vimal was suffering from leprosy. Leaving his home, he came over to Kashi. He did daily Ganga asnan, and surya upaana. The Sun God got pleased with him and cured him of leprosy disease. Vimal built Vimaaditya Temple in Kashi and gave the feel of his faith in God. There has been indivisible relation between Ganga and Sun. Both of these provide moksha to living being. 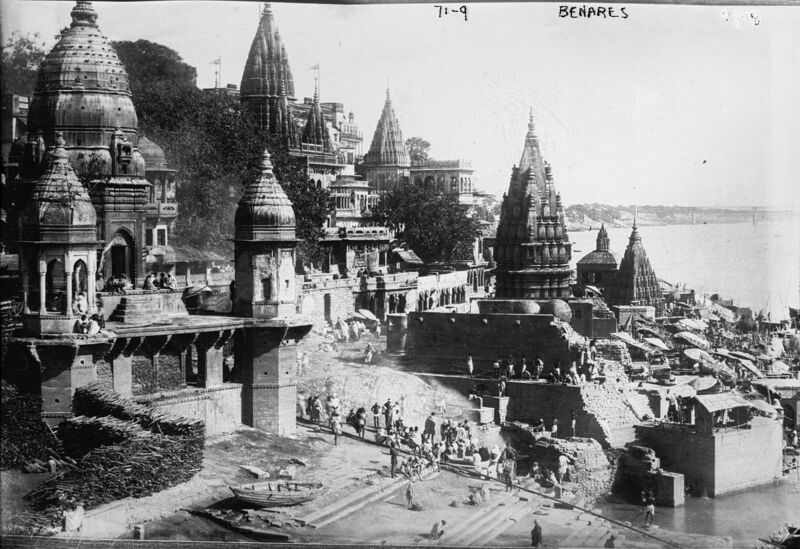 When the Ganges move on forward from the Himalayas, , she then stopped in Kashi following King’s Bhagirath’s chariot from behind. The Kotwal of Kashi Bhairavnath became restlees to safeguard Kashi from the onslaughts of Ganges churning waters. Bhairav started praying Sun God to see the Ganges present in Kashi. Seeing the worshipping of Vairav, the Ganges got pleased and moved on a head wards. Bhagirath was leading her blowing conch from ahead in a chariot. Since then, in Kashi, the Sun started to be worshipped as Ganga ‘Divya’. Arthama Vaishakhi is the name of Surya. Persons get physical energy from the morning sun bathing. The sun of Chaitra is Vishnu. Manjughosha named fairy had trapped Meghavi, the son of Chyavan in her love since 57 years in Kashi. Upon the advice of saints, Meghavi started bathing in the Ganges and worshipping Sun and got rid of the trap of Manjughosha. Mitra is the name of Sun which emerges in Agrahayan month. Peace is gained by bathing and offering water to Sub in this month. There used to live an old saint Hariv by name in Kashi. There was no energy left in him to meditate. He began Ganga asnan and sun worshipping. Hariv became young again after the Sun God blessed him. The vridhaditya Temple is built in his memory. Leprosy had afflicted Rajyavardhan, the ancestor of Sri Ram. He quite his kingdom to concentrate in sun meditation and got rid of the leprosy disease. Ulkadatya, Arunaditya, Keshavaditya, etcare counted among the 12 sun temples of Kashi. Vivashwan is the sun of jyeshtha mas which strengthens the digestive system. Devotee geet blessed by having the darshan poojan of the 12 temples of Kashi. Brahma had built rivulets and fire pits in Kashi to worship sun. Kashi surya puja and surya asnan is treated a vravotsava. Once Shiva left Kashi because of some reasons. The gods were afraid that Kashi would lose its importance if it was not properly managed, so they called for help of Lord Brahma. Lord Brahma, the creator of universe, was concerned. After a long search for a solution, he found a sage of royal blood performing hard tapa in the jungle near the city of Banaras. Lord Brahma made his decision. And decided to hand over the city of Kashi to Ripunjay, who is later called as King Divodasa. Take the world under your throne and save the humanity from fall. By my aid, thou shalt reign over the world and reform the dharma. He accepted with a conditions that all Gods and Godly entities to not set feet upon my land and remain in the heaven only. King Divodasa took the throne and worked vigorously to bring order in the decaying world. 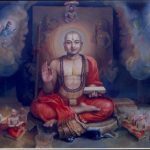 With the favours obtained from Lord Brahma, he established a rule so flawless that was never seen before. Under his reign, his subjects prospered and justice flourished. When they did not return, Lord Shiva sent Surya– the God of Sun, to Kashi. But once he saw the city, Surya walked on the same path as the band of Yoginis. Surya Deva was so ashamed and scared that he could not fulfill Shiva’s mission because his love for the city was greater than his commitment to the mission, so he turned south and tilted to one side and settled down. This is how the 12 sun temples originated in Kashi.